Happy belated Thanksgiving to all of you! hope it was wonderful filled with great food, loved ones and of course many thanks! Mario, Avery and I escaped the cold winter of NYC and spent Thanksgiving in Palm Beach. What a great retreat!! We stayed with one of my closest girlfriends and what a welcome we had! A stunning dinner set up with one of the most incredible menus created by the head chef of hot restaurant Crave. Can barely read this menu without feeling a strong need to eat it all again! Thanksgiving dinner itself was also incredible. Everyone added a little something. I made my own recipe of stuffing that I started cooking in NYC! Chopped all of the veggies, wrapped them up and carried them on the plane with me to save time! We had quite a few stuffings and turned it into a contest of which one was the best. I won!! But, they were all truly delicious. There was plenty of turkey, ham, cheese, sweet potatoes made with Brandy. The amount of food was out of this world. There were four couples and 8 “kids”. I say “kids” but they are all ages 16 and older! They will always be our babies! The “kids” said that this Thanksgiving meal was one of their favorites of all dinners they have had. Something about the comfort food of this holiday always makes it seem the best. The rest of our trip was spent playing tennis, laying out and going out to some fantastic restaurants. Forget about Thanksgiving being one day revolved around a ton of food…our whole week was!! Overall, it was a great trip. I have so much to be thankful for. My health, friends and most of all my incredible family. It is important to remember to be thankful every day instead of just one day a year. As we packed up and headed out of town it was clear…Thanksgiving is over and Christmas is here!! 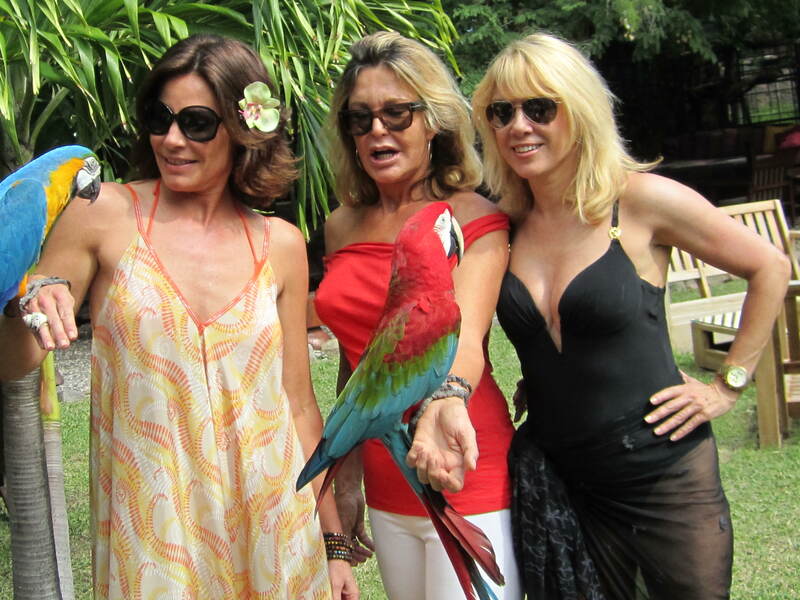 RHONY St Barths 2012 Photos! There is no transition to this blog post other than I hope it brings a little distraction and break from the issues the East Coast is going through. Real Housewives of NYC Season 5 is a wrap! What did you all think? 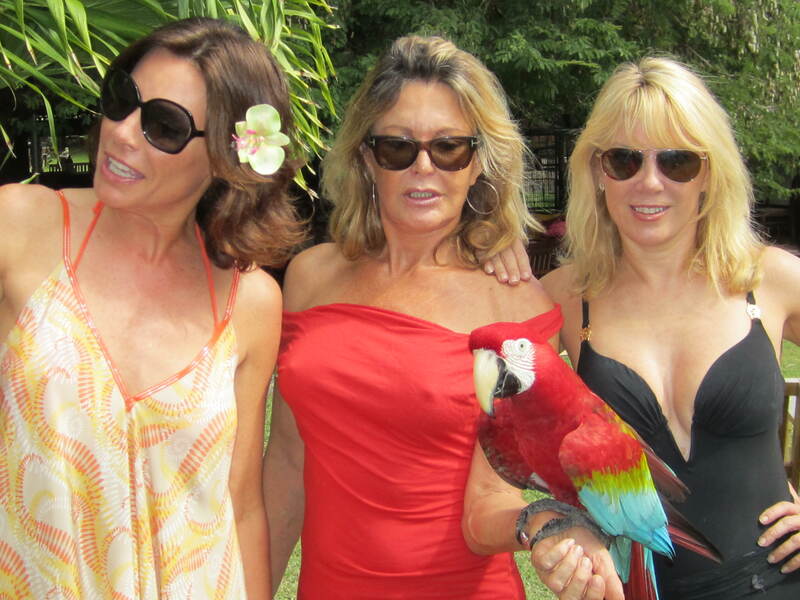 One of the craziest parts of this season was most definitely the St Barth’s trip. Didn’t everyone need a Xanax just to watch it??? While the drama was highlighted, the girls and myself did have quite a good time together and I wanted to share some personal photos! The pool was truly incredible. We were in it every single day and night. It was so serene and relaxing to just float around. I got my noodles!! As if relaxing by the pool wasn’t incredible enough, it was arranged for us to get pampered as well! When we weren’t swimming we were busy getting manicures and pedicures. True girl time! Put me on a boat and I am one happy lady! 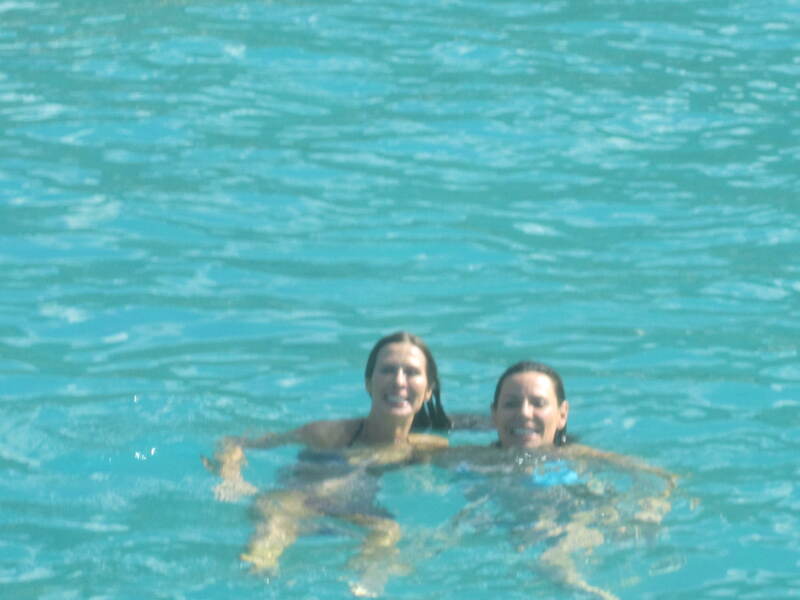 The day out on the water was divine. Great company, fantastic food and fresh sea air! This boat trip was a lot calmer than “Scary Island” boat trip! 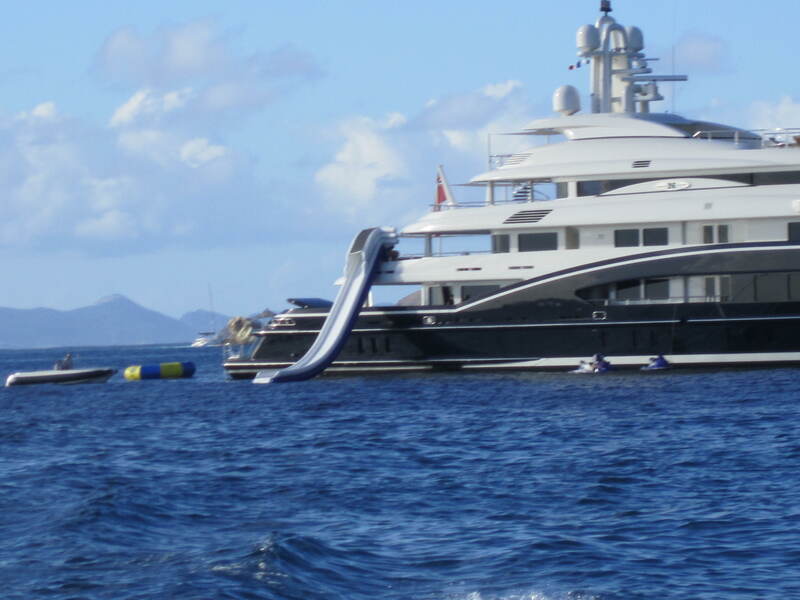 I had to take a photo of this incredible yacht with a slide coming right off of it! How fun does that look?? After escaping the cold winter in NYC, we were all anxious to finally get to the beach and feel the sand in our toes. Below is a photo of us enjoying lunch at a fabulous beachside restaurant. Reliving these days through these photos is getting me antsy for another beach trip! Caught some of the ladies snoozing! The sun can take a lot out of you! Overall, while there was drama , the ladies and I truly had a fantastic trip. One to remember , for sure!